President Maithripala Sirisena made the decision amid fears that anti-Muslim attacks in a central Sri Lankan hill town could spread. 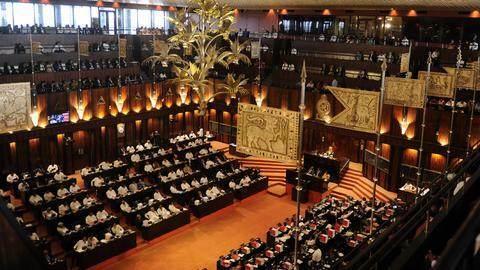 Sri Lanka declared a nationwide state of emergency for 10 days on Tuesday to stop the spread of communal violence, a government spokesman said, after confrontations erupted between majority Buddhists and members of the minority Muslim community. Tension has been growing between the two communities in Sri Lanka over the past year, with some hardline Buddhist groups accusing Muslims of forcing people to convert to Islam, and vandalising Buddhist archaeological sites. Some Buddhist nationalists have also protested against the presence in Sri Lanka of Muslim Rohingya asylum-seekers from mainly Buddhist Myanmar, where Buddhist nationalism has also been on the rise. 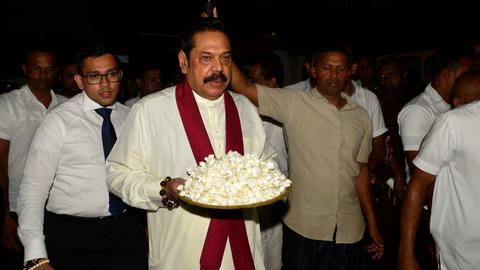 "At a special cabinet meeting, it was decided to declare a state of emergency for 10 days to prevent the spread of communal riots," government spokesman Dayasiri Jayasekara told Reuters. The unrest in the Indian Ocean island's central district of Kandy began on Sunday after the funeral of a truck driver from the majority Sinhalese Buddhist community, who died days after he was involved in an altercation with four Muslims, the government has said. It was not clear why the initial altercation occurred, but after the driver's funeral on Monday, a Sinhalese mob attacked Muslim shops, police said. The body of a Muslim youth was found in a burnt-out house early on Tuesday, police said. Muslims make up about nine percent of Sri Lanka's 21 million people. Buddhists make up about 70 percent, and ethnic Tamils, most of whom are Hindus, make up about 13 percent. The government ended a 26-year civil war in 2009 with the defeat of Tamil separatist rebels. Muslim communities were occasionally caught up in that violence, but on the whole, Muslims managed to stay out of the war.